The popular movie “The Wizard of Oz” has a well-known song – “Follow the Yellow Brick Road,” sung by Munchkins who offer five words of advice. They tell Dorothy in little magical voices to Follow the Yellow Brick Road and repeat the word “Follow” five more times. Aside from assuring Dorothy the yellow bricks will take her to a wonderful wizard, “…who is wonderful because of the wonderful things he does,” the munchkins don’t offer much more of what the road may hold for Dorothy. 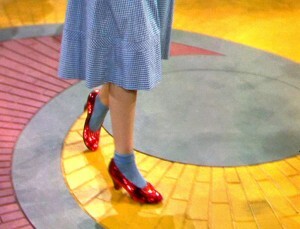 However, Dorothy has powerful Ruby Red Slippers to protect her on the journey and takes off in search of OZ and finding the wizard who will get her home. WOW what a story – imagine following pretty yellow stepping-stones and arriving at Wellnessville where all dreams and desires happen by a wizard? 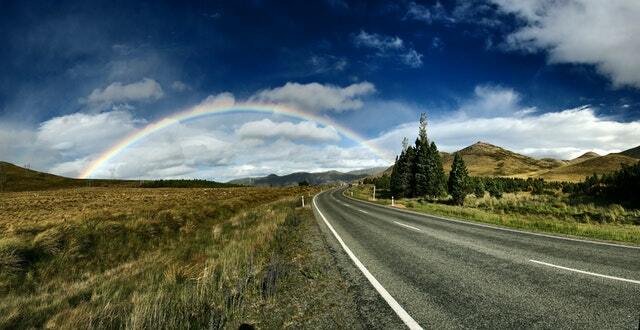 Stop Dreaming – Your “Road” to wellness requires more than Ruby Slippers, it requires personal action. An earlier post, “Assessing Wellness” illustrated a Wheel of Life as a method of determining where one is across many personal dimensions. The wheel displays a visual of how a life is functioning – smooth, choppy, or in need of a major overhaul. This second tool, your Action Plan, consists of taking a few wheel pieces and deciding how to create change. Even though you may select only one or two pieces to focus on, improving one area of your life elevates overall wellness. Action planning can be as simple as listing items that you would like to work on with an associated completion date. If working with a coach, the list would contain at least three pieces – What are you going to do, When are you going to do it, and How will you communicate to your coach you completed the action. Action plans require reflection on past personal practices and current life situations. Often times a negative health diagnosis, stress of a job, unexpected weight gain, or wanting to look good to attend a wedding will prompt a strong desire to change and setting an action plan will become your road map to wellness. Action planning only works when actions happen and holding the coachee accountable to actions, timelines, and evidence of forward movement allows for success of personal goals. Follow Your Own Road and color the bricks whatever color you want – just “FOLLOW” your action plan with accountability and you will reach OZ. “Good luck and while you are there tell the Wizard I said hello!